PC keyboards, or membrane keyboards, just don't have the same satisfying sound and feel as they used to. They just don't "click." However, you don't have to settle; you can switch. Some manufacturers still make mechanical switch keyboards that feel like the classic IBM Model M, and if you spend a great deal of time at the PC keyboard, it might be worth your while to switch out your membrane keyboard for a mechanical one. It's possible that a mechanical keyboard could help you type more quickly and more accurately, and it will last far longer than a standard PC pack-in keyboard. It may also just bring you a more satisfying writing experience. A mechanical keyboard has actual, physical switches beneath the keys that recreate the experience of typing on a typewriter. Press a key, and you press its switch down. Although there are different types of switches used in mechanical keyboards, they all have the same result: More accurate typing. Most PC keyboards are composed of a set of three plastic membranes, with rubber dome-shaped switches underneath each key. Press a key, and the rubber switch pushes through a hole in the middle membrane to connect the top and bottom membranes, which creates an electrical circuit that causes the keyboard to send the input to your PC. This keyboard design is inexpensive and spill-resistant, but it doesn't give you as much tactile or audible feedback when you press a key, which can change the way you type. In comparison, the membrane keyboard may feel "mushy." There are other advantages to mechanical keyboards beyond enhanced accuracy, including longer key life and sturdier keyboards. The largest single disadvantage is that they are much, much louder. If you're a fast typist, it won't be long before you feel like in you're in one of those old stenographer pools (if you have any idea what that is). Mechanical keyboards are also more expensive than your run-of-the-mill wired models, although they come close in price (or are even cheaper) than some of the more high-end wireless keyboards. 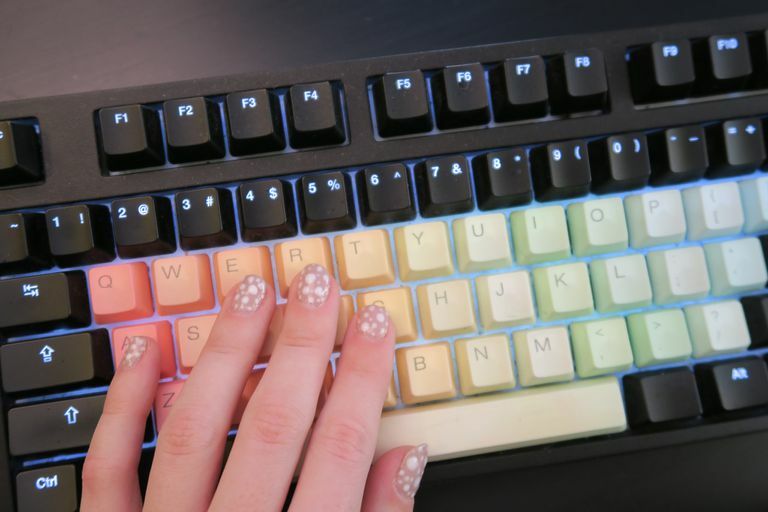 Those who may find a mechanical keyboard to be a sound investment include office workers whose jobs depend on speedy and reliable data entry, gamers and professional writers (especially older ones). Mechanical keyboards are loud. While the actual volume depends on what kind of switch your keyboard uses, as well as on your typing technique, mechanical keyboards are significantly louder than other kinds of keyboards. Which may not be a problem for office workers, because everyone else is probably wearing a headset. Mechanical keyboards are heavy – usually about three pounds or so. With rubber pads on the bottom, it's not going to slide around your desk. Mechanical keyboards last longer. Mechanical switches are certified to last longer than rubber-dome switches pretty much across the board, regardless of the manufacturer, unless you spill your drink on it. Mechanical keyboards might make you type differently. Membrane keyboards require you to press the key down as far as it will go to complete the electrical circuit. With mechanical keyboards, you only have to press until you hear the click, which means that the key travels a shorter distance.